Blacksville, WV (West Virginia), a community in Monongalia County, was incorporated in 1830 as part of Virginia and reincorporated in West Virginia in 1897. The town was named for its founder, David Black, who plotted its bounds on Dunkard Creek in 1829 just south of the Mason-Dixon Line and the Pennsylvania border. 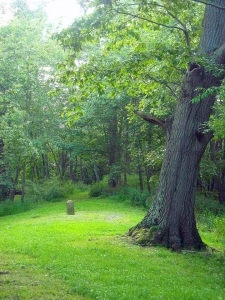 Mason & Dixon Park, on a hill above Dunkard Creek roughly three miles east of the community, attracts visitors to a monument at the westward terminus of the line that was plotted in 1763. The near reaches of the Pedlar Wildlife Management Area are located approximately five miles southeast of Blacksville. Blacksville WV is located on Dunkard Creek, a tributary of the Monongahela River, 20 miles northwest of Morgantown, West Virginia, and 20 miles east of Hundred, West Virginia. Blacksville is located in the Monongahela Valley Region of northern West Virginia.